It might sound surprising in our world of achievement and busyness, but part of God's design for us is to need rest. God set the example for us when he rested on the seventh day after creation. He decreed a day of Sabbath for his people after every 6 days of work. He even designed our bodies to need sleep every day and rest to survive. Jesus paused his ministry when he went off to solitary places to pray, and took time for sleep even in the bottom of a boat during a terrifying storm. Our salvation is even called a Sabbath rest, resting from our striving for perfection and accepting the sacrifice of Jesus for us. Rest is clearly important to God. 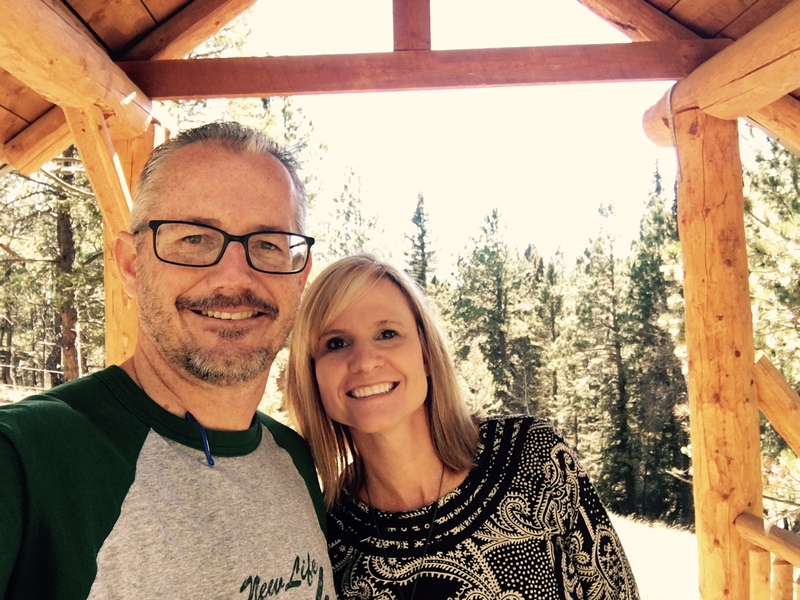 After almost 18 years of continuous full-time ministry, Tom and I have been given the gift of an 8 week sabbatical by the board of New Life Ranch. We are thankful and blessed to start off our time by spending a week of rest at a marriage retreat in the beautiful mountains of Colorado. The leaders here emphasized the first night, that this week is not a conference or a seminar, but a retreat. The word retreat literally means, "to withdraw and pull back." The goal for us here is to withdraw from the busyness, the noise, and the responsibilities of our world back home and meet intimately with God. I find it significant that as Tom has spent so many years serving guests at New Life Ranch, encouraging and facilitating their time to unplug and draw close to the Lord, that we are now being encouraged to do the same here. What a gift! There are three other couples here as guests. Two of the couples serve in churches, and one serves at a camp in Kentucky! Our retreat leaders, Rob and Shini Abraham are a beautiful couple from India who have been missionaries with YWAM for nearly 25 years, serving in India, Germany, the US and hosting marriage retreats around the world. Fun fact: they both speak, read, and write fluently in 7 languages! They currently work with refugees in Colorado Springs from many different countries and really have a heart for helping them with the transition here. The schedule here is relaxed. The meals are amazing. We took some personality tests before our arrival, and discussing those has been intriguing and helpful. We seem to be having no trouble allowing ourselves to rest, pray, read, walk, and just spend time together and with the Lord. We are just so thankful for the time to rest here as we start off our travels, for great grandparents caring well for our children at home, for a friend's frequent flyer miles to get us the Colorado, and for this amazing beautiful place to connect with Jesus. Thank you for your prayers as we begin this sabbatical journey. I will be exalted in the earth."